After over 4 years of trying, scientists recently created a human-pig hybrid. And not just one but over 100 of them. An international team of scientists at the Salk Institute for Biological Studies in La Jolla, California recently announced their breakthrough in the Science journal Cell. 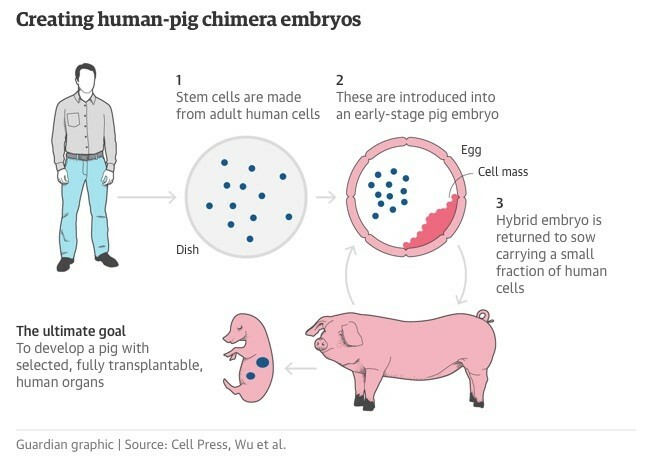 Their human-pig chimera (the scientific name for a creature that has cells from two different species) were allowed to grow to four weeks old, before being terminated. This is a scientific milestone as it is the first time that they have been able to successfully combine human cells with those of another large distantly related mammal. This weird science experiment might sound terrifying, and does open up some big ethical questions, but it has been done with the best of intentions – to address the problem of lack of donor organs for transplant operations. “The ultimate goal is to grow functional and transplantable tissue or organs, but we are far away from that. This is an important first step,” says Juan Carlos Izpisua Belmonte, who led the controversial work. 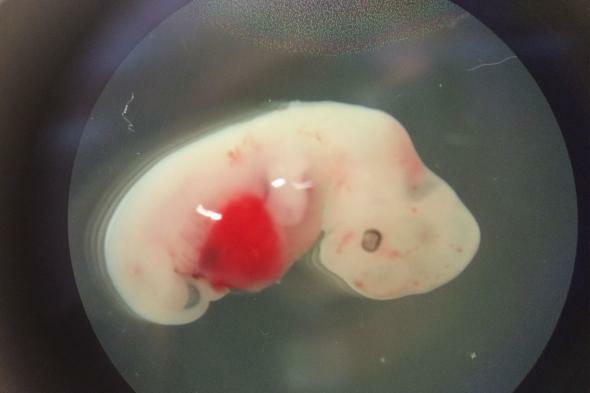 The human-pig embryos were created using CRISPR genome editing tools. Researchers injected human stem cells into very young pig embryos in the lab. They then transferred over 2000 of the hybrid embryos into female pigs. More than 150 of them survived and grew inside the sows. They were allowed to reach the 28 days stage before being removed from the pigs and terminated. If scientists can advance this technology to eventually use a patient’s own cells to grow an extra organ of theirs in a large animal like a pig, it would reduce the demand for human organ donors. This cutting edge science has obviously freaked out a lot of people, as it raises the issues of scientists being able to grow strange human-animal hybrids. To allow time for society to discuss and address the issues the US National Institutes of Health (NIH) placed a moratorium on providing money for experiments in this controversial field.